After the Pharisees heard that Jesus baptized more disciples than John, Jesus left for Galilee. But to make it to Galilee, Jesus had to go through Samaria. Samaria was near to the place where Jacob used to live. The well that Jacob dug was there as well. After Jesus reached Samaria, He sent His disciples away to buy food. The Samaritan woman said, “Don’t you know that Samaritans hates the Hebrew people? Why did you ask a drink from me? At this moment, Jesus’ disciples had returned from buying food. 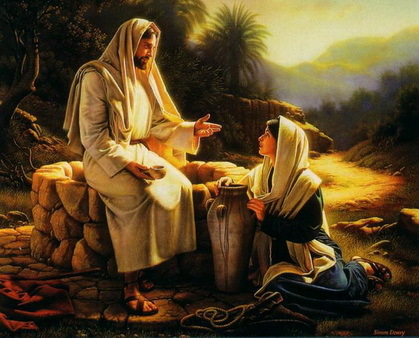 Jesus’ disciples wondered why Jesus talks to a Samaritan woman. The Samaritan woman went back to her home and told everyone about Jesus. The Samaritans believed what the Samaritan woman told them and they come to Jesus. When the Samaritans came to Jesus, He preached to them for two days.